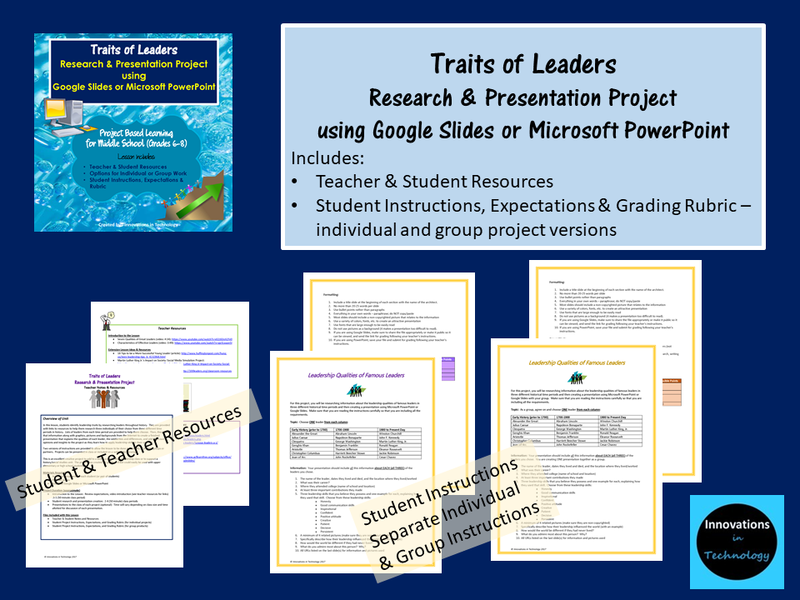 View cart “Character Traits of Leaders – Research & Presentation Project” has been added to your cart. 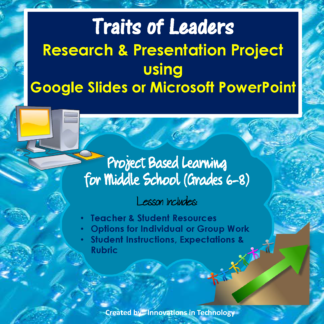 In this lesson, students identify leadership traits by researching leaders throughout history. 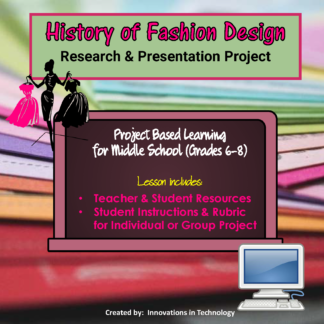 They are provided with links to resources to help them research three individuals of their choice from three different time periods in history. Lists of leaders from each time period are provided to help them choose. 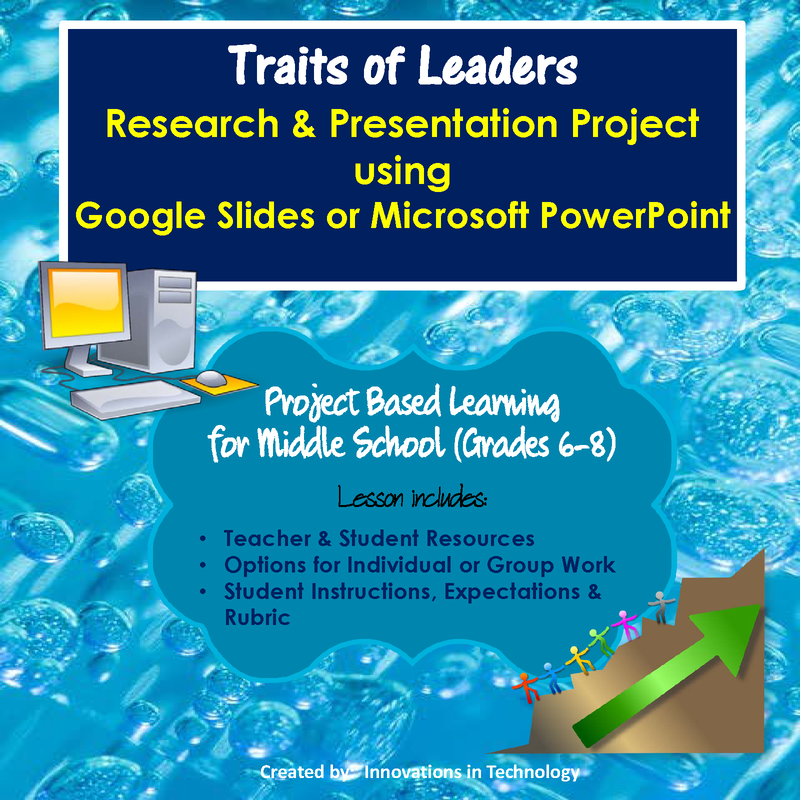 Then, they use that information along with graphics, pictures and backgrounds from the Internet to create a finished presentation that explains the qualities of each leader, the similarities and differences, and add their own opinions and insights to the project as they learn how to apply leadership skills in their own life. 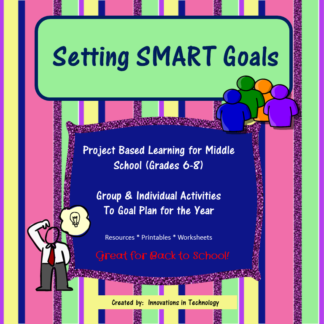 Two versions of instructions are provided to allow the lesson to be done individually or in small groups or partners. 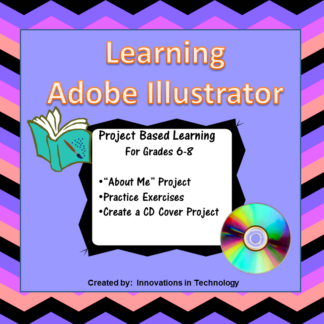 Projects can be presented in class or included on a website for viewing. 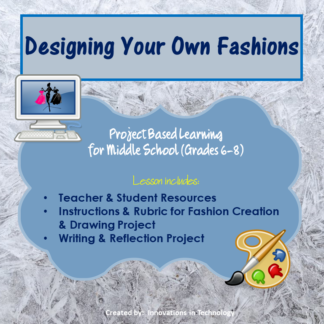 This is an excellent creative project to add to a unit in a career class, leadership class or to support a history/social studies unit. 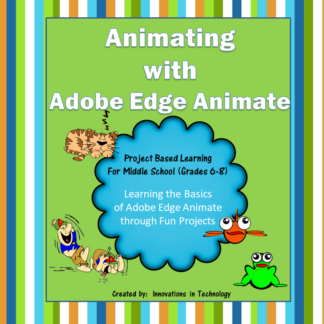 The project was created for grades 7-8 but could easily be used with upper elementary or high school students.